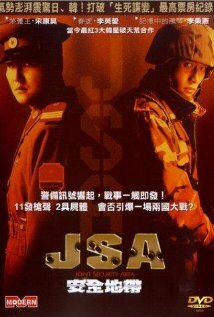 Before Vengeance trilogy for director Chan-wook Park, there was Joint Security Area (Gongdong gyeongbi guyeok JSA), a movie that skyrocketed his career, and since then he has become one of the most accomplished and critically acclaimed directors in South Korea. 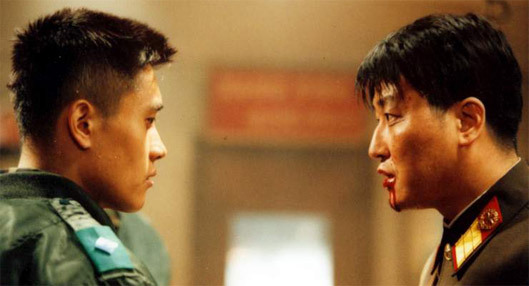 Not to forget the cast of the movie, lead actors Byung-hun Lee and Kang-ho Song, while both had rich previous experience in acting, but nothing come close to success of Joint Security Area, which gained huge recognition and immediate status of superstars for them, guaranteeing successful career for next decade. On border between South and North Korea's, known as Korean Demilitarized Zone, two North Korean border guards get shot. Sgt. Lee Soo-hyeok (Byung-hun Lee) is considered to be guilty in causing this event. Both countries give their own narrative of what happened, South states that he was abducted and killed his abductors while attempting to escape, while North says that he made a deliberate attack on their soldiers. To find the truth, investigation by Neutral Nations Supervisory Commission is launched to discover what did occur during that fatal night. A masterpiece thriller from Chan-wook Park that touches sensitive relationships between both, once united, countries. Forbidden friendship, political plots and secrets from the past come into play. Suspenseful story of separation by senseless ideology, ideology that hides actual human beings so deep underneath. One of the best movies that had come out of Korea in my opinion. Recommended to everyone. Welcome to Dongmakgol (Welkkeom tu Dongmakgol ) is another great debut from new generation of Korean directors. It went to be 4th highest grossing South Korean movie of all time, and was official entry for best foreign language movie of 2005 Academy Awards. So far it's directors Kwang-Hyun Park only movie, currently his new project is in casting stage, and is something to keep an eye for. 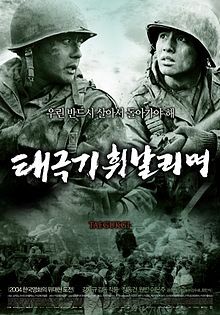 Movies is set during Korean War of 1950. Soldiers from both sides of once united country and American plane pilot find themselves in a strange village among the mountains, whose inhabitants live hermit lifestyle unaware of what is happening in world around them. They get involved in villages life with help of a really odd girl who lives there. Soon however leisure time ends, and dangers of war are approaching this haven of peace. It's comical and tragic story, showing how senseless the war is. How easy it is for friends to become enemies, and enemies become friends. Great cast, beautiful cinematography and touching story. A must see.